The big picture: Super Typhoon Trami is one of the more powerful — and photogenic — storms to form in the northern hemisphere so far this year. Yet again it appears Japan will feel its worst effects, beginning in the Ryukyu Islands on September 28 or 29. It's also possible the storm will curve out to sea without hitting the most populous Japanese islands. 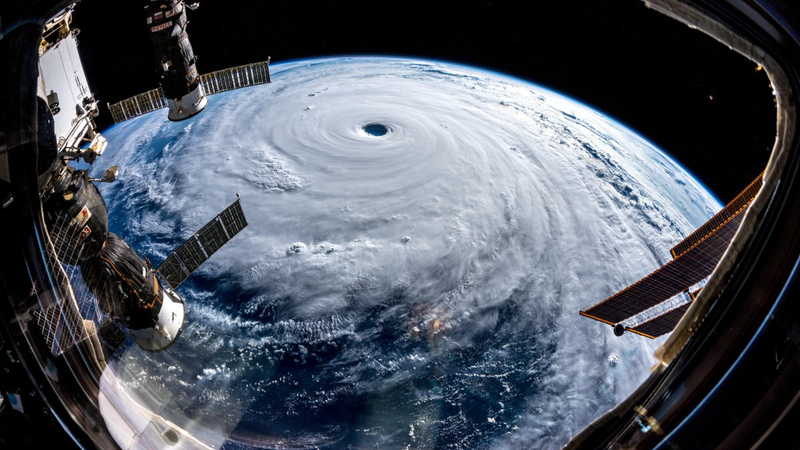 European Space Agency astronaut Alexander Gerst took a series of jaw-dropping images of the storm Tuesday, writing on twitter that the typhoon looked as if "... Somebody pulled the planet's gigantic plug." Gerst also captured unique pictures of Hurricane Florence before the storm made landfall in North Carolina on September 14. Intense storms such as Super Typhoon Trami often exhibit swirls or vortices within the eye itself, known as "mesovortices." These can be thought of as miniature spinning tops trapped within another giant spinning top, which is the typhoon itself. Editor's note: This story has been updated to correct the name of Super Typhoon Trami.